Our twin boys are just wrapping up their terrible two’s. So much of watching them grow, learn to talk, show personality, and try new things has been pure delight. At the same time, keeping our boys out of trouble is simply exhausting. They’re fast, devious, and curious about everything. Our child-proofing strategy is two pronged: keep the kids (1) away from things that are dangerous (tools, scissors, the stove), and out of stuff that they’re not supposed to be getting into (the pantry, the refrigerator, our bedside table). 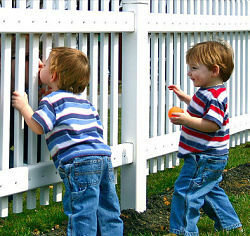 And while we love seeing our boys play nicely together — rather than fighting — it’s often at the expense of one of these safeguards. Sometimes they both are working together to rip open the box of Cheez-Its and eat as many as possible before we catch on. Other times, it seems more nefarious: one boy distracts us with a tantrum, an injury, or some other attention-getting device, while the other breaches the gate or child lock. It’s a bit like that scene in Jurassic park where one raptor distracts the would-be hunter, and the other attacks from one side. One area of our house that usually takes the most abuse is the dining room. Sure, it was wonderful when our twins learned to feed themselves. It was also a subtle shift of power, because they got to control the food and the utensils. This independence, coupled with a growing natural defiant streak, have them really testing their limits. How many chips can I eat before touching the sandwich? How far can I throw this grape? These are questions they seem to try answering daily. 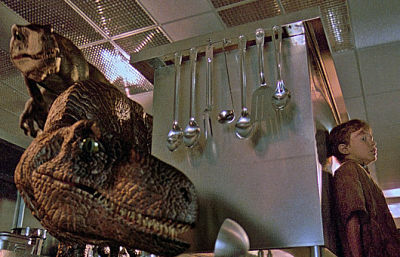 Do you remember the scene in Jurassic Park where the raptors are fed while still in their enclosure? They lower a fully grown cow on some kind of a crane into dense vegetation. Screams, snarls, and chaos follow. Then the crane’s lifted, the cow is gone, and the harness is in tatters. That’s kind of what it’s like when our twins are done with dinner. Thanks to those lock-picking skills I mentioned, it’s hard to keep our kids out of anywhere. Even the bathroom while you’re in it. You think that they’re completely engaged with something on the other side of the house, so you sneak upstairs to get dressed or find a belt or something. You hear a noise behind you. It’s like that moment when the velociraptors figure out the door handles. It’s the sound of the lock clicking as it opens. I challenge you to find a few minutes alone in our house outside of nap time. 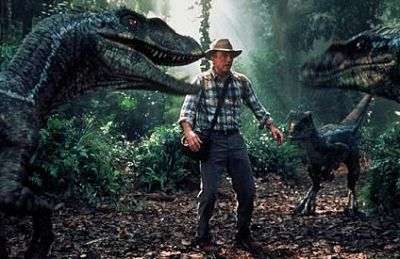 The scene above in Jurassic Park is one of the most frightening, because you see for the first time how fast the raptors are, how high they can jump. The special effects are good, and the effect chilling. These raptors are only five or six feet tall, but they scared me more than the T-rex did. I’m reminded of this whenever one of our boys doesn’t want to get into the bathtub, or refuses to give up a piece of contraband. They are strong. It’s just not natural! 6. When It’s Too Quiet, Be Afraid! Two year old boys are loud. 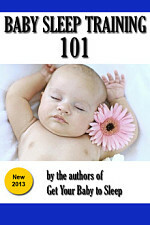 They laugh, shout, cry, whine, and make all kinds of noise at all times. Unless Caillou is on, we expect a cacophony at all times around our house. You’d expect the same for a dinosaur-filled jungle. So when it’s quiet (like when the power went out on Jurassic Park), it’s probably time to be very frightened. The same holds true in our house. If one or both boys are out of sight, and quiet, 90% of the time it means they’re getting into something that they shouldn’t. Like, a bag of Lindt truffles (Friday) or a few loose drill bits (today). In Jurassic Park, the T-rex was the apex predator. The Godzilla. The big star. Yet the dinosaur that really haunted moviegoers’ dreams for weeks afterward was something much smaller. Cleverer. More agile. 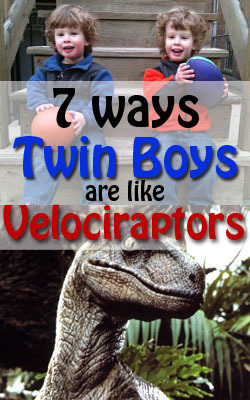 The velociraptor stole the show, and that’s what twin boys do as well. They’re show-offs with little to no regard for their own safety. They get into trouble almost for the fun of it. And that is why twin boys are like velociraptors. This seriously had me laughing. I have 18 month old twin boys and I found myself nodding throughout the majority of the article. I had t-shirts made for my twin girls, one said distract and the other said destroy LOL, they are nine now and they still tag team me. Now that my twin boys are 24 and married, with children of their own, I have had plenty of time to read this article over and over, enjoying it more each time!